The stage was set for a fatal dog attack on a five-year-old due to the lack of knowledge by the victim’ s mother about the presence of a pit bull on the property of a babysitter. The mother had taken her child to the babysitter’s home for the day, but had not yet left when the incident occurred. The babysitter had taking care of her children in the past without problems. The mother knew of the presence of the resident pit bull, but not of a newly acquired one. The latter had been adopted from a rescue organization about two months prior to the incident. It was this dog that was involved in the incident. The incident happened in Baker City, Oregon in September, 2013. According to online news reports, the boy was playing with as many as eight other children in the backyard, and either one or both pit bulls were in the vicinity. There is no evidence that the dogs were chained, however. The mother and babysitter were alerted to the incident by the children soon after it happened. They found the boy laying on the ground with the dogs nearby. He died shortly thereafter on the way to the hospital. In the absence of blatantly provocative act directed to the dog by the boy, it is likely that the behavior of the children stimulated the recently adopted pit bull to attack. Children during play move erratically and fast, and frequently vocalize in a manner that may be provocative to some dogs. The circumstances here immediately raise a red flag: namely, children playing in the presence of a recently adopted pit bull. One assumes that prior to adoption, the rescue organization did its due diligence to ensure that the dog was a good match for the babysitter. However, it is likely that the rescue organization lacked reliable information about the behavioral history of this dog. Most pit bull type dogs in shelters arrive as strays or abandoned dogs. Thus one wonders about the degree to which this dog was adequately socialized to children. It was probably not known. However, regardless of what the rescue organization knew, it is hard to understand why they allowed the babysitter to adopt the dog knowing that young children would be present in the home. It is possible that the babysitter presented false information on the adoption papers. This has been known to happen in other instances. Shelters and rescue organizations are often faced with a dilemma: their mission is to adopt dogs out rather that destroy them, but they may not have reliable information about a dog’s background to ensure a safe adoption. 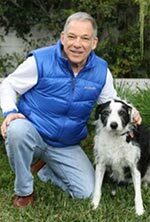 Shelters usually pass judgment on the dog’s temperament based on how the dog behaves toward shelter staff, and in many cases through behavioral evaluation testing. However, casual observation of the dog’s behavior by shelter staff may not be reliable because certain kinds of canine aggression only appear outside the context of the shelter environment, and therefore are never seen by shelter staff (e.g. predatory aggression). Moreover, behavioral evaluation tests administered in the shelter may lack validity if the proper techniques are not used, and if they are conducted solely in the cage of the dog or by inexperience shelter staff. 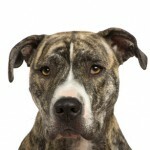 Nevertheless, a recent study shows that pit bull type dogs can be adopted into homes without significant risk of the dog biting a person after adoption. Pit bull type dogs have a higher standard to meet than most other type of dogs. Generally, in order to ensure that a pit bull with an unknown background will be aggression-free after adoption, it must meet the standard of consistently demonstrating over time its trustworthiness around people in the home environment, and in a variety of other contexts. The bottom line: shelters and rescue organizations need to be cautious when offering for adoption a pit bull type dog with an unknown background.